We are smack in the middle of Winter – and that basically means everything is dry. It’s all about moisturisation from head to toe for me at the moment, and one of my favourite multi-taskers is the mighty coconut. Now I know everyone and their mother has done either a blog post or beauty vlog on the various uses for coconut oil but I thought I would let you guys in on the various things I have used coconut oil AND coconut milk for in the past. My first tip would be to use an unrefined, organic coconut oil, because that means it’s completely natural and you don’t be working with any chemicals or harshness. Coconut oil and milk is, for the most part, easy to find – these days it’s available in selected Woolworths & PnP stores, health stores (Dis-Chem or other natural health stores) OR online (I’ll mention more suppliers at the end of this post). Both coconut oil and coconut milk are not expensive (especially when you compare their multi-tasking qualities to various other products that you would be using instead) and let’s be real: Coconut smells like a tropical heaven. Canned organic coconut milk needs to be refrigerated once opened but do not store the coconut milk in the can, transfer it to a clean tupperware container. Do not use “lite” or “light” versions of coconut milk as it will be too watery and you will have to add a natural thickener (and nobody has time for that!). Check the ingredients and make sure there is at least 1g of protein listed, also make sure there are not a lot of additives – just coconut, water and maybe guar gum (thickener). Once the canned coconut milk has been refrigerated, the coconut milk usually becomes the perfect consistency for the beauty uses. ♥ Leave-In Hair Treatment – use as is straight from the container and apply all over dry or wet hair (from root to tip), leave in for a couple of hours and then shampoo and condition hair as per normal. You will not need to apply the same amount of conditioner as you normally would. Coconut milk contains coconut oil, which will protect hair against losing the natural proteins, it will help to replace the natural oils that give the hair body & shine, and also prevents hair damage caused by the sun and heat tools. Using coconut milk as a hair treatment also works as a natural hair detangler. ♥ Coconut Milk Bath – this simple recipe did wonders for my dry, sensitive skin! Pour the coconut milk into your running bath water, swish the water around to blend and enjoy soaking for 15 to 20 minutes. Soaking in these healthy fats, minerals, and nutrients will gently cleanse, nourish and soothe the skin. After your bath, apply coconut oil while your skin is still warm and slightly moist, this will help the coconut oil absorb faster and will lock in the moisture too. Add rose water or honey to the bath water for an all-natural scented bath (yum!). ♥ Hand Lotion – using coconut milk as an organic lotion makes for a nice lightweight moisturiser. Trust me, it’s not sticky at all. It is important to try use extra virgin unrefined oil, this means it hasn’t been bleached or processed (still in its natural state, which means all the vitamins and nutrients are still intact). Coconut oil has anti-bacterial and anti-fungal properties, plus high levels of Vitamin K and Vitamin E (hydration). Coconut oil works amazingly well as a hair treatment because of its lauric acid profile. Unlike other oils (sunflower oil and olive oil) that sit on top of the hair, coconut oil is absorbed faster and binds to the hair protein. This helps hair retain its natural moisture and reinforces its fibres, which in turn strengthens the strands and prevents damage & breakage. ♥ Makeup Remover – use this in its melted state, massage all over the face and then remove using a warm wash cloth. Coconut oil can also be used to remove waterproof eye makeup, just add a little bit to a cotton round, hold the cotton round over each eye for a few seconds and then gently rub to remove the makeup. It also conditions eyelashes because of the high Vitamin E content and studies have shown it aids with lash growth. Please note, though, coconut oil is a comedogenic (can clog your pores) so wash your face with a cleanser afterwards. ♥ Cuticle Conditioner – rub coconut oil into cuticles to moisturise after using nail polish remover. Massage into cuticle area to keep them hydrated and soft. Hair Mask – Warm up the coconut oil in the microwave (or use a water bath) before applying to the hair as the heat will open up the hair cuticles. Make sure the oil is warm, not hot! Massage the oil into scalp and work through the ends of the hair, try to really saturate the hair. Leave it in overnight or for a couple of hours. I like to warm my towel up in the tumble dryer because the heat will ensure the hair cuticles stay open for longer which means maximum benefits from the coconut oil. Apply shampoo to the dry hair, this helps to remove the oiliness, rinse with water and then shampoo again. Add a light layer of conditioner and rinse again. Coconut oil is great for dry, chemically treated and frizzy hair because it hydrates the hair shaft and hair follicle. It also relieves itchy scalp and dandruff because of its high moisture content – add a bit of tea tree oil to your coconut oil when you apply it to the scalp, you’ll be healing the problem and fixing the side-effects and discomfort. ♥ Frizz Tamer – take a tiny bit of coconut oil and rub into fingertips. The run through ends of hair after styling, this will add shine and tame any fly-aways. ♥ Body Scrub – mix 1 cup of sugar (I use brown sugar) with 3 tablespoons of coconut oil. This scrub is all-natural, plus removes dead skin cells whilst moisturising the skin. ♥ Body Moisturiser – after shower or bath, rub all over body as you would a normal body lotion, leaves skin feeling soft, smooth, hydrated and glowing. It will moisturise any dry areas and also relieves Eczema. ♥ Oil Pulling – while scientific evidence is lacking to support the benefits of oil pulling, some studies have shown that it may reduce oral plaque, halitosis & gingivitis. Take 1 to 2 teaspoons of coconut oil every morning and swish around in mouth for about 10 – 15 minutes. Then spit into trash can, not sink because it can clog your drain. Brush teeth as per normal. Oil pulling helps to detoxify (anti-bacterial and anti-fungal properties), cleanse lymphatic system, and also helps to whiten teeth, plus leaves them feeling smooth as it removes plaque the natural way. I must admit, because it is so time-consuming I don’t do this every day. ♥ Pregnant Bellies – rub onto your pregnant belly to help heal and prevent stretch marks. ♥ Sunburn Aid – rub all over the areas where you have been sunburned to soothe and hydrate (this will help ease the skin peeling process). ♥ Shaving ‘Gel’ – you can use this to dry shave when you don’t have time to jump in the shower / bath. Coconut oil will help the blade ‘grab’ the hair for a close shave, plus you won’t need to moisturise your legs afterwards. Coconut oil also prevents razor burn. You can take it into the shower as well – it doesn’t have to be just dry shaving BUT remember, this is an oil so be wary of a slippery shower. ♥ Bath Oil – add a couple of tablespoons to your bath water, this will hydrate & soften your skin while you are soaking in the tub. It’s an affordable way to create a great bath time experience (and it smells really, really good). ♥ Self-tanner Prep – applying a thin layer coconut oil to dry areas on the body, will ensure the self-tanner doesn’t stain elbows, knees, ankles. As mentioned in the beginning of this blog post, you can purchase coconut oil or coconut milk at selected Woolworths or PnP stores. You can also buy it at Dis-Chem (they sell small to seriously huge containers) or natural health stores. For online shopping, check out Faithful To Nature, Wellness Warehouse, Smart Green People, Yuppiechef and Fresh Earth. Do you love the mighty coconut as much as I do? What do you use coconut oil / milk for? Love love love coconut oil! It’s seriously the best leave in hair treatment ever. Pleasure, Zee. 🙂 Let me know if decide to try some of these new uses for coconut oil, I hope you enjoy! Loved this post, Luzanne. So helpful! Coconut is all I use to treat my hair, I use normal Pantene shampoo and conditioner and then deep treat my hair once every 2 weeks with coconut oil. My hair is long and strong. People should really try this, it’s amazing. Coconut oil truly is amazing! 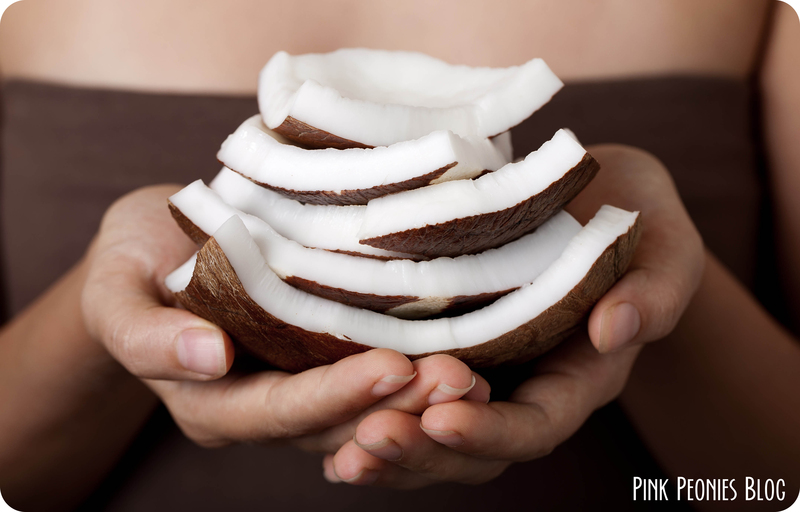 I personally love the coconut smell – but you’re right, the scent doesn’t linger for too long. I’ll definitely try the coconut oil for fly-away hair and dry cuticles! Great post! I need to get some coconut oil, ASAP! I always hear how good it is to use, now I definitely need it! I have always wondered about Oil Pulling…eeek, I don’t know if I can do that. Does it taste bad? Or feel funny in the mouth? I always see the US beauty vloggers on Youtube talk about coconut oil all the time, so it should be easy to get your hands on? I hear Vitacost is a great online shop to buy health-related products from.